Scientists have raised concerns for decades about toxic chemicals in the environment that accumulate in the tissues of birds, fish and other animals. New research from Indiana University that examined bald eagles suggests that's only part of the story. A study led by IU environmental scientists finds that chemicals used in flame retardants, plasticizers and other commercial products are broken down through the process of metabolism into other compounds. Researchers say not enough is known about the dangers posed by those compounds, known as metabolites. "Most of these flame retardants and related chemicals can be readily metabolized," said Marta Venier, a scientist in the IU Bloomington School of Public and Environmental Affairs and one of the authors of the study. "The issue here is that, in some cases, the metabolites can be more toxic than the parent compounds." The study was published in Environmental Science & Technology. Authors, in addition to Venier, are William Stubbings, Jiehong Guo and Kevin Romanak of the School of Public and Environmental Affairs and Kendall Simon and William Bowerman of the University of Maryland, College Park. The researchers measured metabolites of flame retardants in bald eagle eggs in the Great Lakes region. They focused on "alternative" flame retardants that were introduced after it was discovered that earlier generations of the chemicals were persisting in the environment, causing health and environmental concerns. In recent years, these alternative flame retardants have also been found in the environment. But when Venier and several collaborators looked for the flame retardants in eggs and serum of bald eagles in a recent study, they found the compounds in low concentrations or not at all. One possibility was that the eagles weren't absorbing the chemicals from their food and environmental exposure. But the researchers hypothesized that, instead, they were metabolizing the compounds so that only low concentrations of the parent compounds were passed on to the eggs that the birds laid. Using sophisticated chemical analysis, they determined that's what was happening. "The results confirmed our hypothesis," Venier said. "Some of these compounds are not found in high concentrations because they get metabolized." She said scientists don't know a lot about the toxicity of the alternative flame retardants, and they know even less about the toxicity of their metabolites. In one test involving chicken embryos, not part of the IU research, exposure to the primary metabolite of an alternative flame retardant altered three times as many genes as exposure to the parent compound. The IU study examined samples from 21 bald eagle eggs that failed to hatch. The eggs were collected between 2000 and 2012 in a monitoring project called the Michigan Bald Eagle Biosentinel Program. 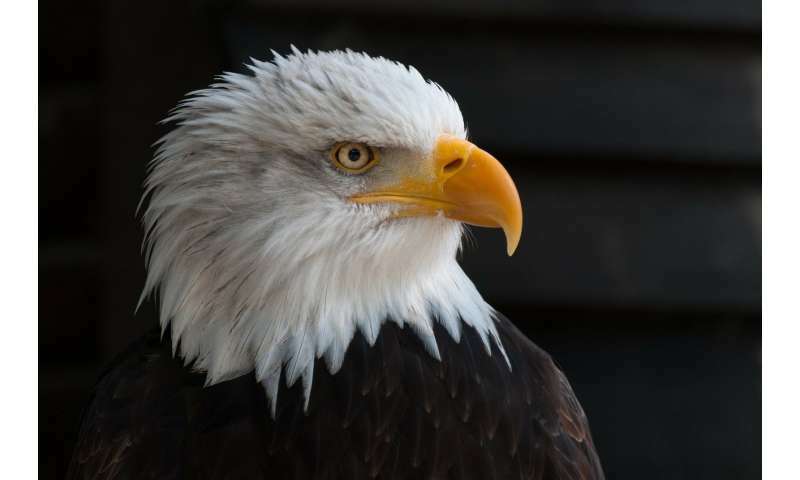 In addition to being an iconic species and the official emblem of the United States, bald eagles can serve as "sentinel species" that provide warnings about environmental dangers to humans and other organisms, Venier said. They are at the top of the food chain, feeding on fish and waterfowl, making them susceptible to exposure to chemicals that persist in the environment. Formerly listed as an endangered species, in part because of the effects of the pesticide DDT in the environment, bald eagles are now increasing in number. But their recovery could be slowed by exposure to flame retardants and other pollutant chemicals, the researchers say.